Are you a beekeeper wanting the page for honey bees? Not long ago, whilst we would see honey bees for sale to beekeepers, species that were only seen in the wild previously (bumblebees and solitary bees) were not offered. Purchasing honey bees in order to establish a new colony in a bee hive is of course very common practice. However, it is now possible to purchase bees that previously reproduced only in the wild environment. In other words, they are now being bred commercially by humans for pollination. This is a relatively new development. Why Are We Now Seeing 'Wild' Bees For Sale? The fact is that many solitary bees (such as Orchard Mason Bees) and bumblebees are excellent pollinators. 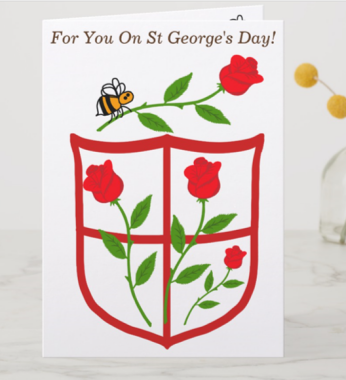 A company called Koppert began rearing bumble bees for sale and commercial pollination in the 1980s, after it became recognised that bumblebees were, through their ability to buzz pollinate, the most efficient pollinators of tomatoes. More and more research is being conducted into pollination by other solitary species too, such as leafcutters. According to the US Agricultural Research Service, 1 alfalfa leafcutter bee can do the job of 20 honey bees. You can read more about that on my page about leafcutter bees. Further information is also available on my pages about bee pollination. It seems, however, that increasingly, and with the troubles experienced by honey bees through Colony Collapse Disorder and so on, the rearing of bumblebees and solitary bees for sale and commercial use is increasing, as farmers and governments become increasingly concerned about relying so heavily on one species of bee (i.e. the honey bee) for crop pollination, so that more efforts are being made to 'manage' and commercially produce other species. Is It A Good Thing To See Bumblebees And Solitary Bees For Sale? I feel that rearing other bees as a back-up for providing a pollination service, is really a sticking plaster approach to solving a problem in the environment. I believe we should first ask ourselves what these man-made problems are, then address them honestly and responsibly, and in a way that is sustainable and healthier for the environment as a whole. If we look after the environment and work with nature rather than against her (poisoning the planet with toxic chemicals, and destroying habitat and biodiversity), then pollinators should be able to flourish, and continue pollinating our crops and landscapes freely. Read about the harm neonicotinoid pesticides are causing to bees and other non-target insects here. 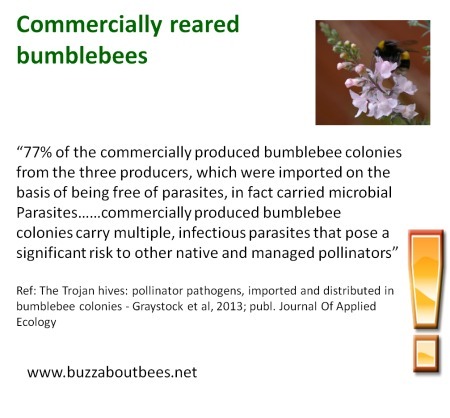 Insufficient controls have resulted in the shipping around of commercially reared bumblebebees in the USA, with knock on effects for other species. Read more about incidents of this in the US on this page. Apparently, some suppliers of bumblebees for pollination, aim to get around potential problems by rearing ‘native bees’ overseas, then shipping them back to their country of origin. This scenario is happening in the UK, and unfortunately, research has revealed there is a risk they could spread diseases to wild bees. Read more about this here. Call me cynical, but I do wonder whether it would suit makers of highly toxic, bee-killing pesticides, if solitary and bumblebees are used in crop pollination instead of honey bees. Instead of banning toxic chemicals, society is offered a so-called "solution" to the honey bee colony collapse problem - such as this one in California involving 80,000 colonies (yes, eighty thousand colonies, not single bees!). Solitary bees and bumblebees, have shorter life cycles than honey bee colonies (in other words, they are expected not to live for as long as honey bees). Instead of the honey bee pollination service which may be hired, presumably, the solitary and bumblebees can be purchased and replaced yearly, and who is to know about the effects of pesticides? Honey bee colonies, by contrast, are meant to survive beyond a mere pollination season. Without beekeepers to raise the alarm, (as they have in Germany and France, for example), I do wonder if the pesticide companies can get off too lightly. Then of course, honey bees produce honeycomb and pollen - and pesticides can be monitored in these products - and there are those who are interested in this monitoring. It's very important to realise that, for a whole host of reasons, honey bees are a keystone species, the 'canary in the mine' more than any other insect, and as such, they are a vital indicator of the health of our planet. Read more about why honey bees matter. They are of course, also enchanting species in their own right. Overall, I worry about where this activity will lead. Time and time again, humans have begun rearing different species to suit mankind, with unhealthy consequences. I’m sure many would say that deliberate breeding can also result in many advantages, but I prefer to trust in a healthy environment that can help foster a healthy biodiversity and natural mixing of the gene pool. 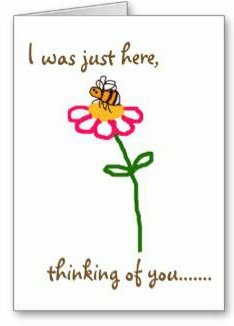 Call me sentimental, but where bees are shipped off to pesticide-laden crops, I am concerned about bee welfare! That goes for the welfare of honey bees too! I really do not like the way humands have a habit of disregarding the lives of small creatures as unimportant and dispensable, rather than address the problems in the environment created by humans. It's high time humans had greater reverence for wildlife generally. If pesticides are part of the problem, let's sort that out first, along with the issue of habitat destruction. It is not that I am against the very notion that wild bees should pollinate our food crops. My point is, that if conditions in the environment are good, wild bees and other insects will do this freely in any case. We should not even be in this situation of having to rear bees for pollination at all! And if it were not for the fact that our environment is in a mess, we wouldn't need to. But guess what: we will not solve our environmental problems unless we actually address the causes of them! And so you see, although I can understand the rationale of breeding bees for sale to pollinate our crops, I also wonder whether they help to delay the crucial action we need to take to address our problems, under the guise that all is well, we can get by, just through breeding a few extra bees. I think this is incredibly naive, and a very shoddy way to treat our environment. All of biodiversity has a role to play. You can read more about these subjects on my page: why do honey bees matter. 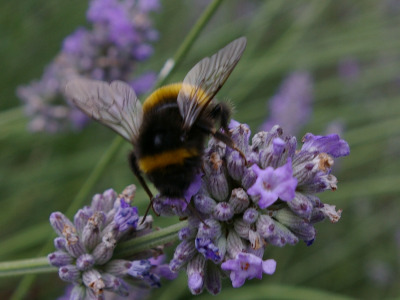 You can read about the importance of wild bees for pollination here.